An attitude of “do as I say, not as I do” persists among motorists, many of whom admit to engaging in the same dangerous behaviors that they criticize as being ‘unacceptable’ and often life-threatening,” said Dan Goodman Manager of Public Affairs for New Hampshire and Vermont for AAA Northern New England. The report finds that 1 in 3 drivers have had a friend or relative seriously injured or killed in a crash, and 1 in 5 have been involved in a crash that was serious enough for someone to go to the hospital. More than 2 in 5 drivers (42 percent) admit to reading a text message or email while driving in the past 30 days, while 12 percent report doing this fairly often or regularly. Nearly 1 in 3 drivers (32 percent) admit to typing or sending a text or email over the past month, while eight percent say they do so fairly often or regularly. Previous research by NHTSA estimates that distracted driving is a factor in at least 3,000 deaths per year, though the actual number is likely much higher. Drivers who take their eyes off the road for more than two seconds can double their risk of being in a crash. More than 1 in 3 drivers (39 percent) admit to having driven through a light that had just turned red when they could have stopped safely during the past 30 days. 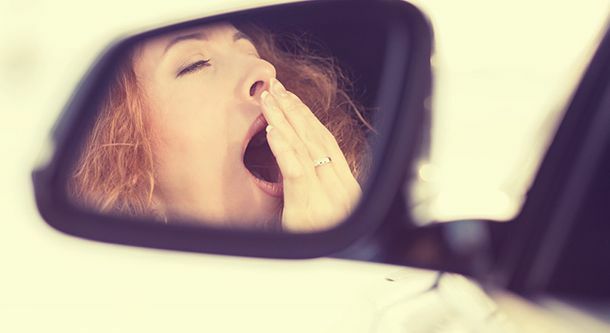 About 1 in 4 drivers (26 percent) reported doing this more than once during that time. The new survey results are part of the AAA Foundation’s annual Traffic Safety Culture Index, which identifies attitudes and behaviors related to driver safety. The survey data are from a sample of 2,442 licensed drivers ages 16 and older who reported driving in the past 30 days. The AAA Foundation issued its first Traffic Safety Culture Index in 2008, and the latest report is online at www.AAAFoundation.org.